That was the question that Rodney Olsen, Ride for Compassion event organiser, Compassion staff and outrageous advocate, pitched to his friends, church family, and fellow advocates. To ride 4300km in 32 days from Perth to Newcastle and raise money for children living in poverty. In all, 24 riders and nine support crew decided that there was a greater need worth fighting for: highly vulnerable children. Every child living in poverty is vulnerable, but some are impacted by the most unjust situations. Moments completely out of their control, like their parents dying, or being struck down themselves by a chronic illness. This is who these courageous men and women were riding for. For Duncan Parker, his moment to join the fight was “when my wife put the laptop in front of me and said, ‘I’ve filled out the form. Read this, and push send…’” he says, with a big smile across his face. Months of early morning starts, intense training and cheerful fundraising followed. The night before the ride, the team were excited, their minds racing, wondering if everything was ready, if they had done enough training, how to say goodbye to family and friends for the month-long journey. But then, it was time. The team just had to trust they were ready. 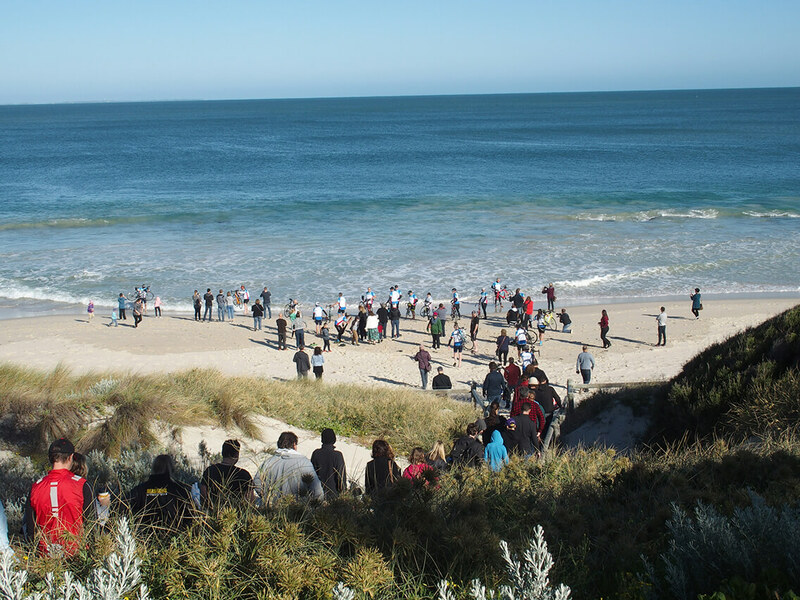 The next morning at Cottesloe Beach—and every morning before they saddled up—the riders gathered to share a story of lives changed by the Highly Vulnerable Children’s fund. They used the moment to centre their focus, forget their aches and pains, to ride well and recommit to the reason why. “Working through the pain mentally and physically was all about the kids; we just had to push through it and think about the end result. It’s all about them and not about us,” says one of the riders, Les Hackett. Stories like Annet’s, which impacted the team greatly. Living in rural Uganda, Annet was unable to afford an ultrasound; she discovered she was having triplets the day she delivered them. Abandoned by her husband, who believed triplets were a curse, Annet raised Samuel, Patience and Grace—with the help of Compassion’s local church partner. The regular food, clothing and medical care they provided lifted a huge weight off her shoulders. As a single mum living in poverty, she struggled to pay the rent on her tiny two-room home. When it was overdue, she feared the landlord would evict them. But thanks to the generosity of supporters all over the world, triplets Sam, Patience and Grace and their incredible mum Annet have moved into a brand-new home. The Ride for Compassion team felt they could ride to Estonia after a story like that. As they battled howling headwinds, slogged up steep hills and endured the baking sun, Annet’s story and so many others kept them moving toward the next destination. There were many memorable moments for the team. Imagine experiencing our beautiful country, admiring God’s creation, silently witnessing the constantly evolving landscape as you pedal along endless roads. Kangaroos bounding through the bush keeping pace, eagles soaring high above, fields littered with countless emus, and even navigating between cattle grazing on the roadside. “After a really hard day … the camaraderie and lifelong friendships that were formed from the ride [were] really special. After spending 32 days in close proximity with one another, there are no secrets kept,” say Duncan and Les, laughing. As they shared the message of Compassion with local churches and community groups along the way—often receiving a hot meal, a place to sleep, encouragement and prayer in return—they inspired thousands of people to make a difference in the lives of countless children. 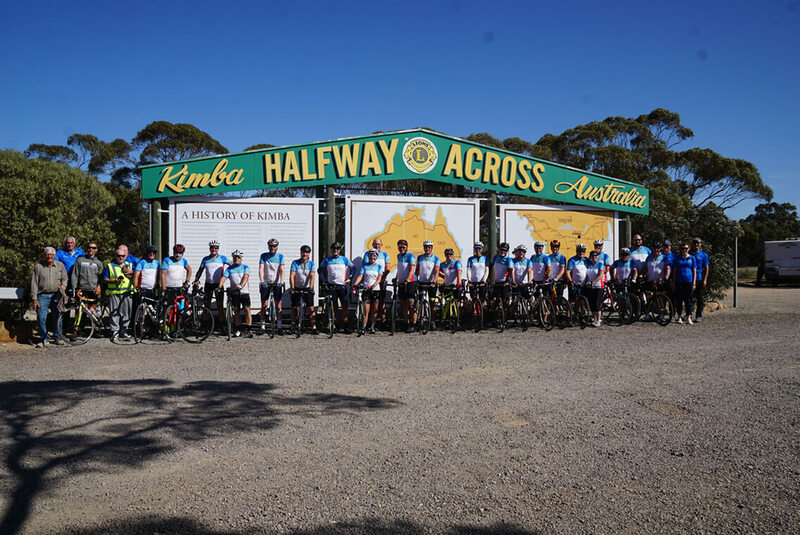 The ride was named ‘Coast to Coast’, and that’s exactly what they achieved: riding from Cottesloe on 15 September to Nobby’s Beach, Newcastle on Tuesday 16 October, surrounded by family and friends. They charged the shore, bicycles over their shoulders: a strange sight for the average sun baker. After dipping their wheels in the water, some threw their bikes down and jumped right in—a pure moment of celebration, knowing that all the hard work had paid off. There was a sense of accomplishment amongst the team, but there was another strange feeling: completion. After 32 days of exhilaration and challenge, separating was emotional. “Now we get to go back to normal life, but I’m not sure if my life will ever be normal again,” says Dave Francis. Together, they raised $360,389 and saw 93 children sponsored. This was such a momentous achievement, to ride a gruelling 4000-plus kilometres across Australia to help children know that they don’t have to live a life of fear, to protect them from child slavery or abuse, to give a light amidst the darkness that says, “You’re going to be okay, we’re here for you”. If you would like to know what the next step is to advocate for children living in poverty, connect with our Compassion team and start the conversation. Feel inspired to act? 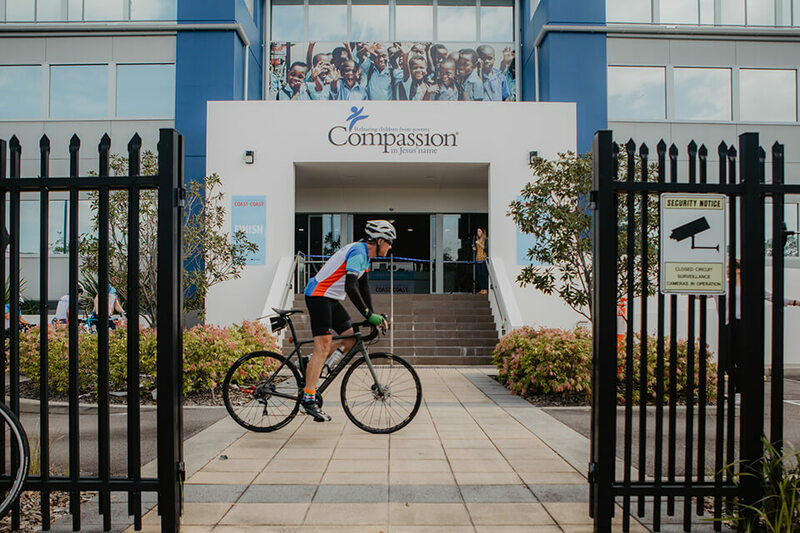 Ride for Compassion 2019 will cover 500 kilometres from Albany to Perth in Australia's south west in October. If this sounds like you, sign up today here.